The entire administrative and production activities in the Summal Food Company was completely paralysed and grounded between Tuesday, 2nd and Thursday 4th, October 2018. This was as a result of the mass protest embarked upon by thousands of casual workers in the company to demand an improvement in their slavery working condition. Summal Food Company, located in Oluyole Estate, Ring Road, Ibadan, Oyo State, is a Lebanese owned company which produces biscuit, toffee and sweet gum among others. It is also involved in environmental and event decorations, digital photo and video coverage services. Summal has a number of high profile subsidiaries including Yale foods and Vital foods which produce digestive, Malted milk, Robot Gum among others. Currently, over 15,000 youths, who are between the age of 18 and 23 years, are used as casual workers in the company. Every casual worker receives a meagre daily pay of N800. This is after working between 9 and 12 hours in a precarious job without avenue for break and company medical facilities even in case of any emergency. Every causal worker in the company compulsorily works from Monday to Sunday without any remuneration for overtime. 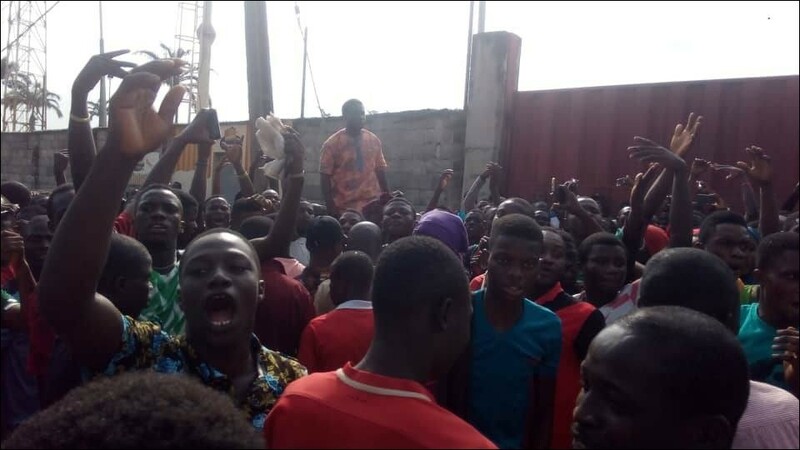 It was the accumulated mass anger and displeasure against this kind of slave working condition that triggered the October 2nd mass protest that paralysed both the production and administrative activities in the company for three days. This struggle which broke out in the early hour of the day was, at its commencement, directionless and uncoordinated. 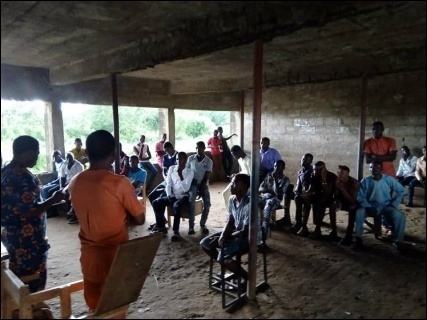 However this huge challenge was later overcome with the help of a quick and skilful intervention by members of the Campaign for Democratic and Workers' Rights, CDWR, and Socialist Party of Nigeria, SPN. The intervention of members of CDWR and SPN was led by Comrade Abiodun Bamigboye. Comrade Abiodun Bamigboye, popularly known as Abbey Trotsky, who doubles as Oyo coordinator of the Campaign for Democratic and Workers' Rights, CDWR, and the Oyo State governorship candidate of Socialist Party of Nigeria, SPN for the 2019 general election. Both the CDWR and SPN are campaign and political platforms respectively initially formed by members of Democratic Socialist Movement, DSM. Their aims are to always ensure that both the economic and political interest of workers and the other members of the working people in the society are well and adequately defended. The CDWR in its intervention first convened a general meeting of hundreds of the protesting casual workers. This mass meeting was used to elect members of the action committee across the 6 production centres within the company. Following this was the meeting of members of the action committee during which there was a deliberation that led to an agreement on various demands of the struggle. The agreed demands were later subjected to a discussion and adoption in the mass meeting of the causal workers subsequently called. This kind of approach adopted by the CDWR during its intervention actually played a very crucial role in term of giving direction and coordination to the struggle itself. It helps the workers to be able to clearly articulate and decide upon their demands and plans, helping make the conduct of the struggle so peaceful without any form of vandalism and destruction. Even though there were several attempts by the security agents to cause one form of chaos and the other, the protesting workers remained calm, determined and resolute with a huge level of trust and confidence in the leadership and co-ordination provided to the struggle by members of the CDWR. It was this kind of courage and determination that successfully forced the Oyo state government to rescind the plan to use state security agent to repress the workers and, at the same time, was compelled to prevail on the company management to create an avenue for a negotiation with the aggrieved workers. The negotiation process with the company management was directly led on behalf of the casual workers by members of the CDWR. Among the demands presented to the management on behalf of the protesting causal workers are: immediate and unconditional increase in the daily pay from N800 to N2000, reduction of working hours from 9 and 12 hours to 8 hours with one hour break and access to use both the company canteen and clinic; working day should be limited to five days (Monday to Friday) with any voluntary work done on Saturdays, Sundays and public holidays to be treated as overtime. Other demands include an end to arbitrary sack of workers who are absent from work for two days in a month while all workers that have been arbitrarily sacked in the company must be reinstated. At the end of the negotiation, the company management was forced to make some high levels of concessions. Among the concessions were: over 30% increase in salary, the reduction in working hours from 9 and 12 hours to 8 hours with 30 minutes break, the working days was reduced to six days (Monday to Saturday) with Sundays and public holidays to be treated as overtime for any worker who voluntarily chooses to work. Number of days workers can be absent from work in a month without being sack was increased from 2 to 3 days. All the workers arbitrarily sacked in the company have been reinstated as we file this report. The company management was also forced to recognise the right of the casual workers to exist as a group. This is a huge gain for mass of casual workers in the company. It's going to offer a better opportunity for the causal workers to win better improvement in their working condition in future. Recognition of independent platform for the casual workers will always offer an opportunity for discussion and adequate planning for future struggle with a huge prospect for better concessions. The struggle of Summal casual workers was quite historic and significant in the sense that it did inspire the regular workers in the company to commence an independent struggle for an improvement in their working condition. This is also the case for thousands of casual workers in many other factories in Ibadan and its metropolis. For instance over 5,000 casual workers in Zartech Limited also embarked on mass protest following the suspension of the Summal casual workers struggle to demand an improvement in their working condition. The industrial action embarked upon by the Zartech casual workers was obviously inspired by the report of the concession won by the struggle of casual workers in Summal. Unlike in Summal Food Company that the avenue for negotiation was not created until the third day of the struggle, the management of Zartech limited did not allow the struggle to extend into the second day before it negotiated with the protesting casual workers. Some of the concession won by the Zartech causal workers also include 30% pay rise, reduction of working hour to 8 hours, reduction of the official working day from Monday to Friday with work done on Saturdays, Sundays and public holidays will be treated as overtime. These concessions were quickly granted by Zartech management obviously to forestall the escalation of the protest. The regular workers in Summal were nevertheless got inspired by the success recorded by casual workers in both the Summal and Zartech to launch their own protest on Thursday October 18 through which they demand an improvement in their working condition. 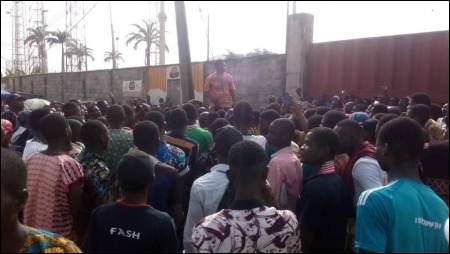 This protest which crippled the production activities in the company for almost five days also saw the suspension of the branch leadership of the union under which the entire regular workers in the company were organised. An obvious mass loss of confidence and trust among the workers in the union leadership was observed during the struggle. 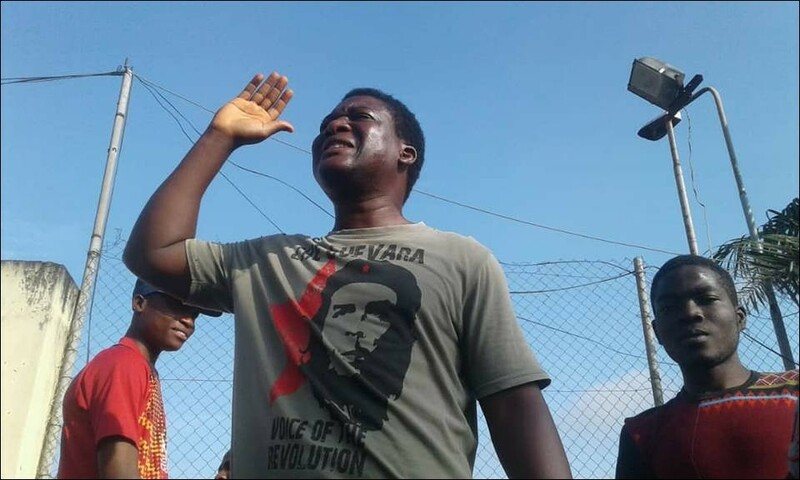 As a matter of fact it took the intervention of Comrade Abbey Trotsky, while he was addressing the protesting workers on the fifth day of the struggle, before the union representative from the National Secretariat of the union could be allowed by the workers to address their mass meeting. After so much persuasion and explanation workers eventually accepted the offer by the Union representative from the national secretariats to spearhead a negotiation on their behalf with the company management. Workers also accepted the plea from the National representative of the union for the suspension of the 5 days industrial action. This was claimed a necessary step to be able to allow for a peaceful negotiation with the management of the company. All of these ripples of workers protest that broke out within and outside Summal in the last three week had no doubt recorded some level of success. This has offered an opportunity to begin to build branches of CDWR in factories in Ibadan and its environs. Already the inaugural meeting of CDWR branch of Summal has been held on Sunday October 14th. Over 50 casual workers from various production centres in the company were in attendance. Also present at the meeting were the representatives of casual workers from Zartech and Premier Feedmil. The discussion was centred on the review of the struggle that broke out in Summal and Zartech and their lesson. A protem leadership committee of CDWR was set up. Members of the leadership committee were drawn from representatives of the three companies present at the meeting. The responsibility of the committee include among other things mobilisation and coordination of the subsequent meetings of casual workers. It was agreed that the mass meeting of the casual workers comes up on the second and last Sunday of every month.